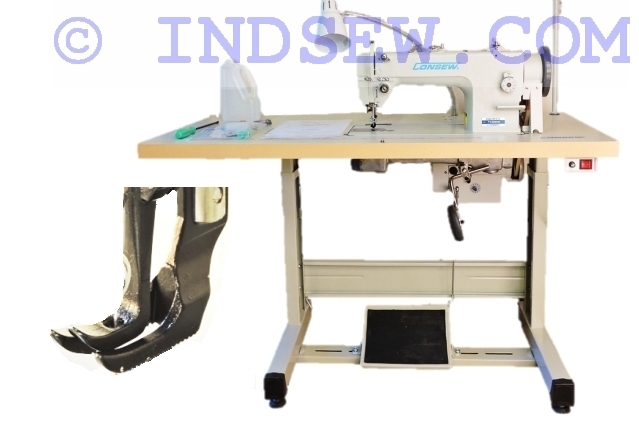 Highly valuable machine with small diameter cylinder arm and compound feed walking foot. 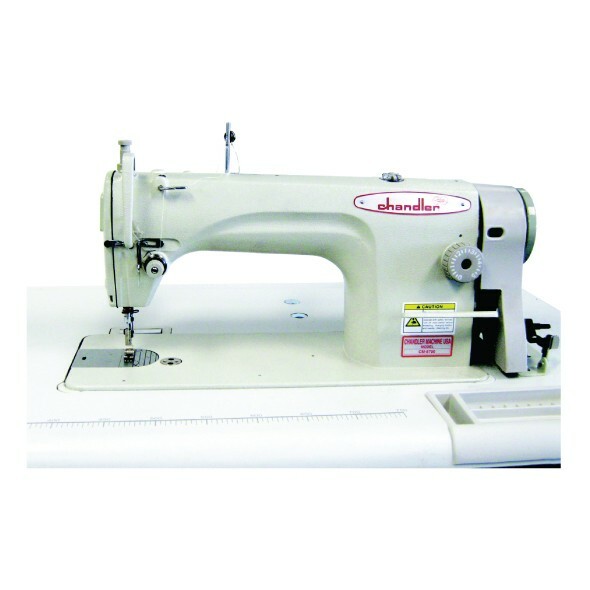 For sewing in hard to reach areas, bags, shoes, small covers and many other applications. 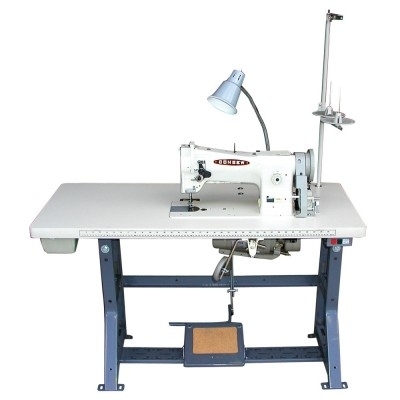 It also can do any job a regular flat bed sewing machine would do. 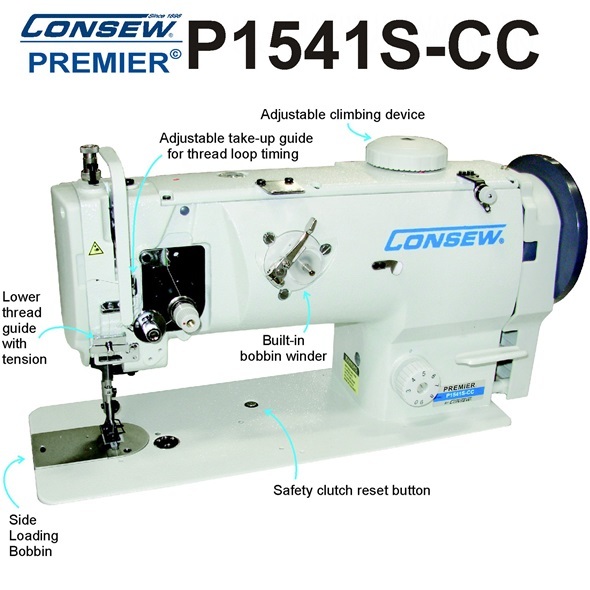 It performs great on light to heavy materials and leather. 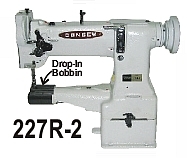 Consew 227R-2 is a Cylinder arm walking foot compound or triple feed industrial sewing machine. This model has smaller diameter of the cylinder arm, allowing it to fit in narrower areas. 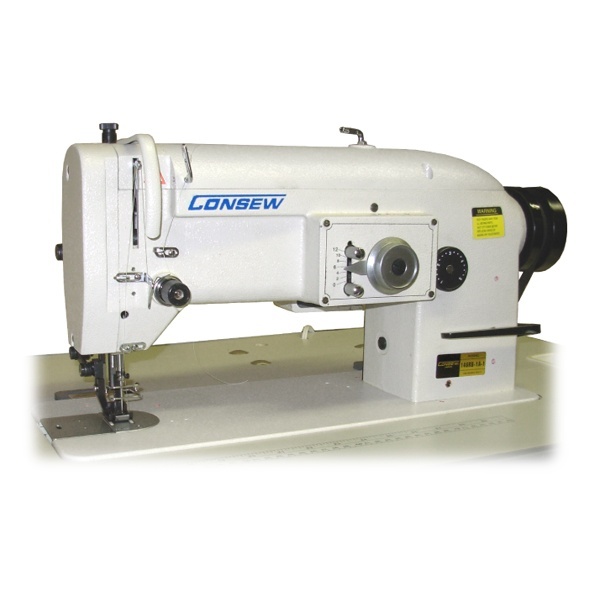 This machine can perform the same tasks as common flat bed machines with the advantage of reaching in tight areas and ability to sew circular shapes of small diameter.